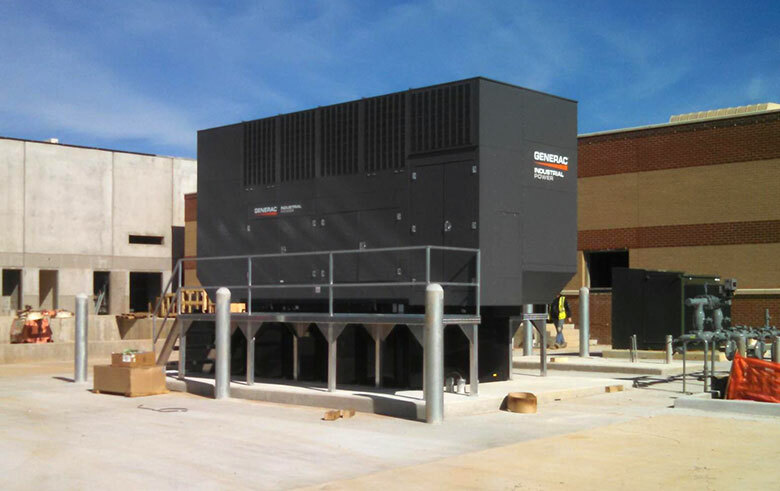 The Athens-Clarke County Jail Expansion project was designed around a 1 MW single engine generator. Generac was able to offer the 2x500kW Gemini system at a competitive price while also providing redundancy on their most critical loads. ESSE also provided a connection box for load bank testing and three bypass isolation ATSs; 2 x400A (critical and life-safety) and a 1200A (equipment).